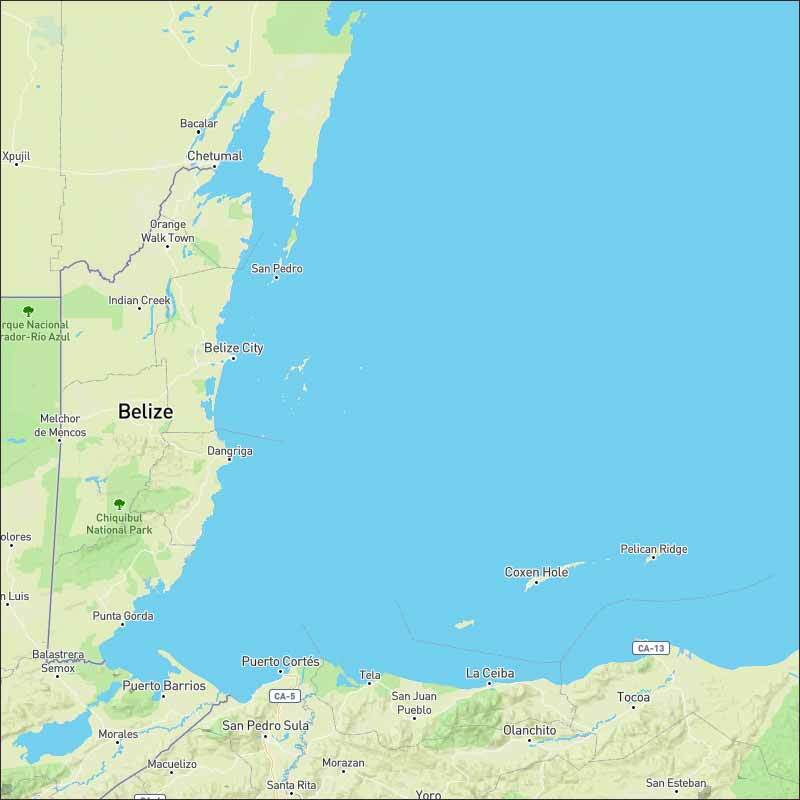 Belize NMS: Fair and warm weather will continue over the area. 24-hour forecast: Sunny skies today and clear to partly cloudy tonight, with little or no rainfall expected. general outlook: (Tuesday and Tuesday night.) Similar weather pattern to prevail. Today E 5-15 kts Light Chop 1-3 ft FAIR AND WARM WITH LITTLE OR NO RAINFALL. Outlook E 5-15 kts Light Chop 1-3 ft LITTLE OR NO RAINFALL. The northern portion of a tropical wave will is moving across the far southwestern Caribbean today, just north of Panama. 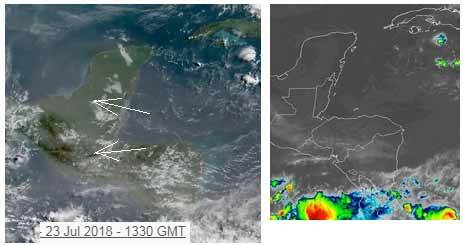 This may bring increased showers and thunderstorms especially tonight, from the central coast of Panama to Costa Rica. Dry conditions persist elsewhere. Earlier scatterometer pass indicated fresh to strong trade winds over the south central Caribbean, mainly off Colombia. Maximum seas are estimated to be 8 to 10 ft. Seas are 3 to 5 ft in the northwest Caribbean, and 5 to 7 ft elsewhere. A tropical wave is approaching 58W, and will enter the east Caribbean today. While Saharan dry air and dust are inhibiting showers and thunderstorms, there may be isolated showers at least in the Windward Islands as the tropical wave moves into the region. Little change is expected elsewhere. Parts of central and mountains foggy this morning, this means the night sky was relatively clear of cloud and the humidity is high. The easterly Caribbean air is now starting to develop lines of cloud. There is no visible high level cloud, but there is some Sahara dust back again. Looks like today will be mainly sunshine, with clouds developing this morning.